I have been attending this practice for many years – the staff and my dentist Mrs Shah have been consistent with friendliness, professionalism and most of all their caring attitude. Fantastic dental practice and I would recommend this practice to anyone who has a fear of dentists. Always great service and very friendly. I honestly cannot thank each and every one of the staff at Abbey Dental enough for the kindness shown to my son who was attacked and suffered severe injuries. Mrs Sribavananthan assured my son that things could be put right, it would take a good few appointments but things could be sorted - this initial appointment really helped him as he was upset about the look of his teeth after the attack. Mrs Sribavananthan has been my sons dentist since he was a child and she thankfully did some immediate work to make his teeth look better but reassured him that things could be put straight and referred us to Mr Kumar for further work, for which I am thankful to her. Mr Kumar is amazing! He explained to both of us the procedure for the next few weeks and what needed to be done. Mr Kumar and Varsha treated him with such kindness and professionalism. I'm so thankful that his teeth look perfect today! I know having his teeth fixed will help him mentally heal a lot quicker. And I must add that you have all been so kind to me, you all knew how I was feeling as you are all mothers yourselves and have shown me such kindness for which I want to thank you all. Very satisfied with waiting times for appointment, was treated with respect at all times. Fairly satisfied with the involvement in decisions about my care and the cost of the treatment. Very Friendly staff, was offered a cancellation appointment. I would recommend my friends and family to this Practice. Staff always very nice, surgery very clean. I was treated with respect, care and dignity and listened to. Everything was explained nicely. It's always helpful l to have a good dentist. Staff are really good and helpful as well. Very efficient and friendly service. Dentist puts you at ease. I have been with the Practice for more than 30 years and I would like to complement both the dentist and receptionists on their pleasant and helpful approach to patients. My long relation with the practice has been without criticism. Mrs Shah is a very experienced dentist and a lovely person who I recommend highly. I have been a patient here for 10 years. Service has always been most courteous when making an appointment or getting treatment. They recently made a referral to another specialist who also provided excellent service. Thank you Abbey Dental. Receptionist Amama is very friendly and helpful with professional approach. Dr Ghosh is extremely professional and friendly as well. Very happy. I have always received a very professional service from the Practice and the reception staff are always very pleasant and helpful. I would highly recommend this Practice. Think it's a fabulous Practice, always welcoming, so friendly. Fantastic with the children and us as we are scared. Mrs Samantha Shears. South Ruislip. May 16. I have been a patient of this Practice and Dr Shah for years. I have always been content with the treatment I have received. I would recommend this Practice to friends or family. I like the staff and the prompt attention I receive always. Practice nice and clean. Great, they look after me. I always trust Mr Ghosh to give me the best treatment and advice. He understands my anxieties. He is always quick and on time. The reception staff are always polite, helpful and efficient. Thank you. Always found the treatment and staff 1st class. Very friendly gentleman Mr Ghosh, also helpful with advice. Nice staff altogether. Appointments are usually prompt. Dr Ghosh is clear, friendly and knows his stuff. Near to where I live. Friendly receptionists and staff. All the staff are friendly, always welcoming and remember your name. Dr Ghosh is very patient with me as I am very nervous. His Dental Nurse Varsha always makes sure I am okay when I get upset. The staff are always very helpful. Careful and considered treatment. Highly recommended. Ridhi Radia has got to be the most caring and understanding dentist I have met. would recommend her highly. Booked me an emergency appointment the same day. Friendly staff. Very good service. I have been coming for many years. Mrs Shah is a very helpful dentist. I am a patient for many years at this practice. I'm completely satisfied with the treatment and professionalism of staff and the practice. I am happy with Mr Ghosh and the practice. I have been seeing him for about 13 years and have no complaints. Professional and welcoming staff at reception. Excellent care and treatment from dentist.. Thorough advice on dental hygiene. I cannot praise this practice enough. I have been receiving treatment at Guy's Hospital due to the care and kindness from my dentist Ridhi. The staff are lovely and helpful to myself and family also. The reception team is extremely kind and helpful. Everybody is lovely and understanding. Great people. Definetly makes you want to come to the dentist. V. good job by Ms Zahira. I have been coming to this dentist for over 15 years and have always been satisfied with the service and care they provide and that's including over the phone. Staff are polite and welcoming and the standard of treatment is really good. 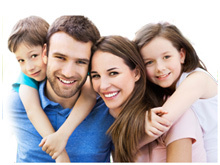 A friendly dental practice, always feel comfortable and at ease with all appointments. Highly recommended. Mrs Shah is a very caring and experienced dentist. She got my root canal sorted, no pain any more. Professional and courteous making what can be unpleasant experience painless and easy. Receptionists are always very friendly and helpful. The Dentist is reassuring throughout the treatment. Abbey Dentist has been very good since I've been at this dentist. Staff are brilliant and service has been very good. I hope Abbey will be here for many years to come. I would recommend friends and family to come. I am very happy with the service at Abbey Dental. Dr Shah is always very accurate and caring. Very friendly staff. Abbey Dental has always given an excellent service and the staff are very polite and helpful. Very efficient, polite, friendly atmosphere, superb. Very friendly staff. My dentist Mrs Shah is very good. Excellent service by all staff. Receptionists are very friendly and efficient. Always receive a prompt service. Friendly receptionists and dentist is pleasant and professional. Mrs Shah has taken very good care of my dental requirements for nearly 17 years. Mr Ghosh is very helpful. Staff are really nice, Practice is lovely and clean. Good friendly staff and good dentists. Great treatment and dentist helped me feel very relaxed. I have been treated by Mrs Shah for over 10 years and found her very professional and caring. I would recommend her. I have been a patient for over 20 years and am very happy with the treatment I have had at Abbey Dental. Dr Shah has always been very professional and most importantly gentle and kind. I am grateful for the excellent care. Staff are always friendly and helpful. Emergency appointments can be booked, there is no long waits. I am very satisfied with this Practice. Great new location. It's clean, bright and much more spacious making patients feel at ease. Excellent dental practice in all aspects. I am very pleased with the treatment I am receiving and the team here is very professional, polite and complete with expertise. I would like to say the staff and Mr Ghosh are very caring and make you feel comfortable. Excellent staff, excellent service. I loved it! Excellent customer service. The new location of the practice is very good. The new image is a clear improvement. Staff is very professional. I am very happy and extremely satisfied with all the treatments and advice I received from Abbey Dental and especially from Dr. Ghosh. Best dental practice I have ever been to. I felt so comfortable after coming from the old practice. Very hygienic, very clean and I felt treated with respect. I am proud to get registered at this surgery, I am very satisfied and can recommend this surgery to anyone with confidence. My son received very good treatment and good teaching skills to brush his teeth. My family and I have been attending the Abbey Dental Practice in South Harrow for many years and have always found all staff members very helpful. Excellent service provided at all times. Very helpful and efficient. Good service. Excellent staff, very friendly and helpful. Clean and tidy clinic too. I find Dr Shah to be attentive and professional at all times. she always ensures that the treatment plan is clearly explained and understood and puts me at ease completely. My husband and I are in our 90's and wish to compliment the surgery and all the staff for all the help and kindness we receive. I hadn't been to a dentist in such a long time, but Dr Ghosh was so gentle and patient with me. I would definitely recommend him! Dr Shah is such a caring, considerate dentist. I have every confidence in her. She explains everything to me, and involves me in deciding about my treatment. I feel much more at ease this way. Dr Smithson is a very experienced dentist, I know I am getting a decent standard of treatment, and have never had any problems with the work done. A truly great guy too.